Hi:) My name is Abby, here is a little bit about me. I love everything about and anything that involves hair. More than half my life has been dedicated to the art of hairstyling. Before beauty school, before hairstyling, there was the artist. Labelled a rebel with hyperactivity, it was hard for me to focus, so school was not my thing. The only subject in school I loved and did extremely well was art class. Somewhere in my school year, I became fascinated with hair styling, so it was only natural that I attended beauty school. For the first time in my life, I became an ‘A’ student. I fell in love with the art of hair styling. After beauty school, my hunger to learn became my drive. I attended every hair show, signed up for hair courses and worked with some big hair legends. I was a sponge and for the next six years I drifted from one salon to another always learning and searching for ..the next great thing. Did I ever think of owning my own beauty salon...well, yes. Every hairstylist dreams of owning her own salon. In 1991, at the age of 25, I became a salon owner. 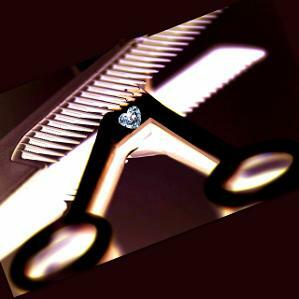 My dream was to create a beauty salon with no boundaries. A salon with a unique environment, a place where hairstylists can be themselves; Tattoos, piercings, crazy hair and clothes. We practised total acceptance of individualities before the world did. My dream salon grew and became a well-known staple. 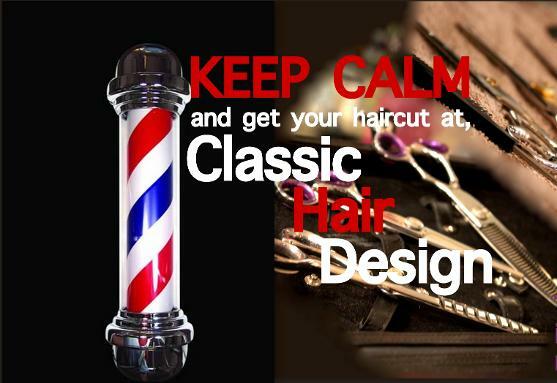 For over a quarter of a century, the name Classic Hair Design maintained an excellent reputation in the community of Waterdown and surrounding areas for its outstanding personal service, with our team of creative, talented hairstylists. Why did I give up salon ownership. As a hairstylist, owning your own salon is the ultimate experience and for 25 years I achieved goals that where unimaginable but too many years of ownership and managing others can take its toll on the hairstylist and I became a jack of many trades and a master of none. In 2018, after 27 years of salon ownership, I closed down my beauty salon. I am now solo, Abby’s Classic Hair Design. Now my vision is to master the one….the artist and stylist. 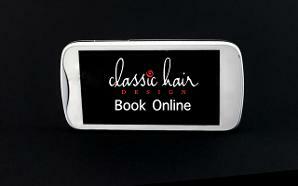 Now I can offer my clients more of myself outside my salons' four walls. I really never set out to be a specialist on one hair type ..and trust me, I specialize in many areas. I have exceptional experiences with women’s and men’s advance cut and styles, advanced colour techniques, personalized colour application, colour correction specialist and 32 years of experience as a permanent wave tech. I have extensive training in wedding hairstyles and updo's. I have invented my own personal texturizing techniques for curly hair and thick coarse hair. Not all thick hair is the same, not all fine hair is the same and not all curly hair reacts or behaves the same. There are literally hundreds of different hair maps for every hair type. The biggest problem with having curly hair is finding a hairstylist who really knows curls. Having curly hair myself, I saw a huge need to cut and style curls the right way. Not all curls are the same, there’s the fine, thick, bulky, course, springy and fragile curls and they all require different cutting and texturizing techniques. Contrary to popular belief, amongst the hairstyling community, I myself always cut curly hair wet. Cutting curly hair wet is much more practical than cutting it dry, here is why. Cutting the curls wet is the best way to control the curls and help create an even all-around haircut. Cutting curls dry can be misleading and misinterpreted. 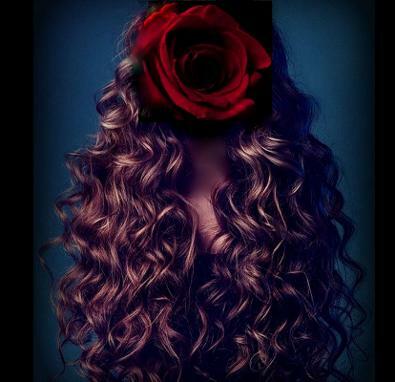 Here is why, if you have curly hair you know that brushing dry curls will cause the curls to expand and appear thicker. This can lead to a horrible miscalculated mess especially if the hair requires thinning and texturizing. Over-thinning curly hair is not a pretty sight. Before cutting, it’s important to analyze curls both dry and wet. This is why I require first time curly hair clients to come in with dry curls. This way I can assess the curls natural movement and check for unruly, thick, bulky areas that may require extra texturizing. Fine hair is significantly more fragile than thick hair and therefore needs to treated with care. There are different types of densities that contribute to what you can or cannot do. Let’s start by separating fine hair into two categories, low density and high density. With low density, the hair strands are thin and the follicles grow far apart, most often the hair is limp and falls flat to the scalp. With high density, the hair strands is also thin but follicles grow close together, now we have allot of fine heavy flat hair, both fine hair but totally different cutting techniques. My first year has a hairstylist I worked in a barbershop with some real old school barbers. My mission was to learn the art of barbering. I learned how to use my hair clipper properly free-handed with no blade guards and how to create the same finish without clippers but using the scissors over comb method. I learned how to control out of control double crown or difficult cowlick by using thinning shears or razoring to control these problem areas. Today, my male clientele ranges from young teenagers who are uncertain on how to match their personalities and lifestyle with the right cut and style to more mature men seeking out hairstyles or hair colouring to help them keep young and hip. I feel it’s my duty to keep my male clients liberated with hairstyling and grooming options. Most men are not very vocal on what they want so showing them pictures is my way of connecting and I always encourage my male clients to speak-up about what they like or don’t like. A man's hairstyle should suit their face shape and lifestyle. No matter the age, every man wants to look stylish. I love teaching them how to style their hair and how to switch it up. Over the years I have worked with Goldwell and Schwarzkopf hair colour, and now with an amazing new gentle low-carcinogen hair colour system, OYA Hair Colour. 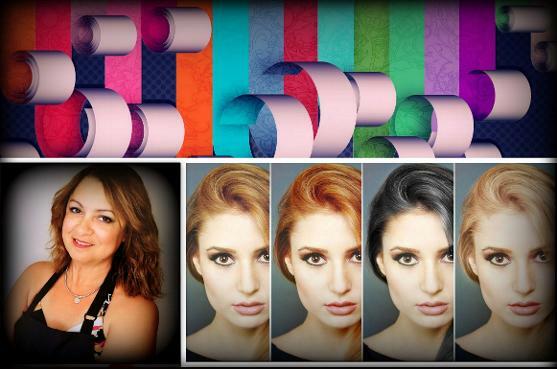 The art of hair colouring is limitless. With a practical and outside of the box approach, I have developed some unique formulations and highlighting techniques, My research on hair colouring never ends, this is the driving force behind my constant evolution. As a professional colour mixologist, I can tell you that colour formulas aren't one-size-fits-all. My knowledge of hair colouring comes from years of experience, studying and understanding the science behind it. I believe pictures are the best form of communication between a client and theirstylist. When I’m doing a colour consultation I will take my client over to the computer and show them pictures as an example and encourage them to explain what they want or don’t want. Then I give them my professional opinion and I do not proceed until we are on the same page. 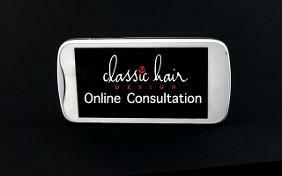 A consultation is not just about figuring out what hairstyle or colour your clients want. There are three types of consultations. The first one is learning about your client’s wants and needs. The second is studying your clients face structure. The third is for me to determine what your hair will or will not do. Therefor, before suggesting the right style, I will do a close evaluation of my client's hair pattern and texture. I start by checking the hairline for thin areas. The crown area for dominant areas like cowlicks or strong unruly hair patterns. The hair density, curly, straight or a combination of both. After the evaluation, I usually ask a few questions to encourage clients to define their needs. Here are a few of my favourites: What type of styles appeal to you? What are you hoping to achieve? How good are you at styling your own hair? Then I’ll show them a series of pictures to make sure we are on the same page.